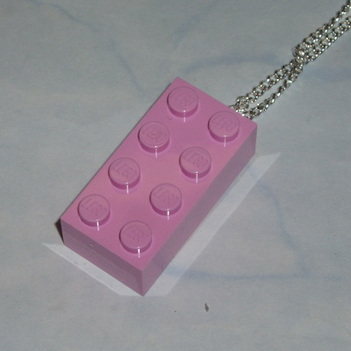 Very rare Pale Pink Lego Brick Pendant. 4x2 Pale Pink Lego Brick on a choice of Chain lengths. Or waxed cord. GEEK, EMO, Bling, Kitsch, Retro. These are re-cycled Lego Bricks.